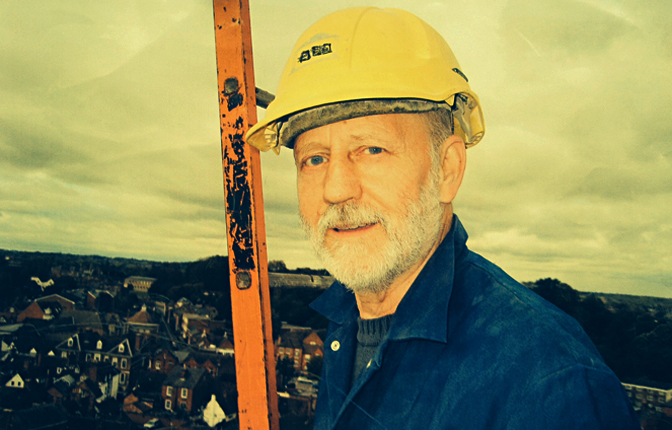 Retired stonemason Peter Handsaker, 68, spent 47 years working for Birmingham firm William Sapcote & Sons, starting as a teenage apprentice. The firm undertook prestigious projects, including the restoration of Lichfield Cathedral, Warwick Castle and Shakespeare’s birthplace. If Peter hadn’t developed an unrelated cancer, there is little chance his work-related and potentially deadly dust disease would have been traced back to his job. 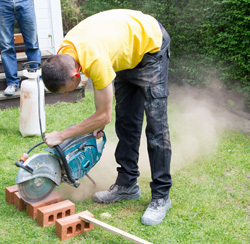 Silicosis is a condition associated an increased risk of lung cancer, with HSE estimating the annual death count at several hundred and possibly up to 1,000. It is a hidden toll - barely 100 cases are compensated each year despite both silicosis and silica-related lung cancer being recognised by the government as ‘prescribed industrial diseases.’ Add in kidney, autoimmune and obstructive lung diseases and other silica-related conditions, and you have an almost entirely unacknowledged, unrecorded body of harm. There are potentially deadly implications for prevention. In a world of mandatory cost-benefit analyses, if you don’t count the bodies, in terms of action priorities, the bodies don’t count. Silica is one of the most serious occupational disease risks around, but HSE is resolutely resisting calls for a tighter exposure standard. At the same time, HSE’s own evidence shows it is failing to police effectively exposures at work. 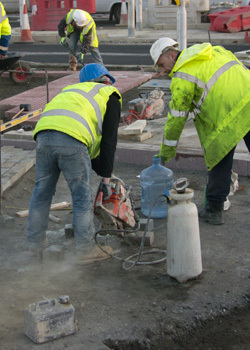 The regulator’s 2009 Silica Baseline Study – which it hasn’t repeated since – established HSE under-estimated the extent of workplace exposures and over-estimated levels of compliance by employers in all four industrial silica hotspots investigated – stonemasonry, quarries, construction and brickworks and tile manufacture. The study found in stonemasonry, Peter’s trade, approaching half the workforce could be exposed above the current 0.1mg/m³ ceiling, and about one in five was potentially exposed to 0.3mg/m³ or more. DUST CLOUD When a summer 2014 Health and Safety Executive inspection blitz investigated health risks on construction sites, it found by far the most common problem was a failure to control silica exposures. But for other high risk industries – brick, cement, ceramics, concrete products, glass, minerals and quarries – the hands-off regulator isn’t even looking. See: Several industries, one deadly risk. OSHA calculated that for non-malignant respiratory disease – silicosis and obstructive lung diseases like bronchitis and emphysema – “excess lifetime risk are 11 deaths per 1,000 workers for the pooled analysis and 83 deaths per 1,000 workers” based on another study. For kidney disease, you are looking at an excess of 39 deaths per 1,000 workers exposed at the current exposure standard. This adds up to big numbers. We are talking about a routinely silica exposed working population in Great Britain of approaching 600,000. It means that halving exposures – recommended by OSHA but blocked by HSE – would result “in a substantial reduction of these risks,” according to the US watchdog, and could save hundreds of lives. As HSE admits, a significant proportion of the silica-exposed workforce is experiencing levels in excess – sometimes way in excess – of the standard. The benefits of introducing and enforcing a more protective standard will, consequently, be greater still. Assumptions about workplace conditions inevitably improving over time, as knowledge and technology advances, don’t work so well for silica. Greater use of face masks and respirators coincided with mechanisation, increasing the pace of work and volumes of dust produced. Peter Handsaker recalls: “When I was young we used mallets and chisels and did things by hand. The old masons used to say ‘wet the stone’ to keep the dust down. I always did. I always considered myself to be careful. Then in the 1980s and 1990s they introduced angle grinders and spinners, flat disks that rub the stone down. You get 100 times more dust. In the 1960s and 1970s, safety was left to the workers, he says. Then from the 1980s on, company safety officers and Health and Safety Executive inspectors started to appear. Still, Peter believes neither his health nor his working conditions were ever properly monitored. STIRRING UP THE DUST Evidence collated by Hazards and published earlier this year has seen unions refer the case for a more protective silica exposure standard back to HSE’s Advisory Committee on Toxic Substances (ACTS) and the European Union’s Advisory Committee on Safety and Health (ACSH). 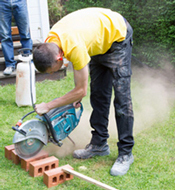 Dust to dust: Deadly silica standard is killing UK workers, Hazards, number 126, April-June 2014. HSE’s enforcement database record just one instance when the regulator took action against the company, in 2002, issuing a stop work prohibition notice. But that was for scaffold safety, not silica. Peter’s solicitor, Alex Shorey of personal injury law firm Irwin Mitchell, believes his story isn’t rare. “Peter’s plight unfortunately represents the position of a large number of former workers who were negligently exposed to high levels of silica and who, through no fault of their own, are now suffering the consequences. HSE has two problems, one of its own making and one dictated by government imposed policy and cuts. It knows it is failing to enforce effectively the current silica exposure standard. And it knows a tighter exposure standard would be a healthier standard, but is adamant the shift is not technically feasible. David Cameron’s hands-off workplace safety strategy means many of the highest risk industries for silica exposure – brick, cement, ceramics, concrete products, glass, mineral industries and quarries - are no longer subject to unannounced inspections. And construction, one of a short list of industries still subject to preventive HSE oversight, still seems unconcerned or unaware of the need to control silica. A two-week HSE construction blitz that started on 23 June 2014 saw 560 sites visited, and concentrated on “significant health risk issues.” One in six sites was served with an enforcement notice. Of 107 improvement notices issued for other criminal breaches of safety law, 46 related to hazardous substances, HSE said, “mainly dust control and in particular control of silica dust.” Health-related contraventions not resulting in an enforcement notice were found at over a third of the sites. In any normal fortnight, HSE inspectors are not blitzing construction sites and searching out “significant health risk issues.” They are as a matter of policy steering clear of most other industries posing a significant silica risks to their workers. And HSE knows that all the while possibly hundreds of thousands of workers are being over-exposed, even if your measure is the current contentious exposure standard. It just says if employers stick to the rules, it is possible to significantly reduce the risks. “There is a UK workplace exposure limit for silica of 0.1mg/m³, and employers must reduce exposure to below this level. With the required exposure controls in place, silica dust is usually reduced to significantly below 0.1mg/m³,” it told journalists in response to criticism in Hazards. But while a resource starved and politically hobbled HSE cannot police the existing standard, it defends what is acknowledged to be a dangerous level of exposure as a matter of choice. “The advice HSE has received indicates that it is not practical or achievable to consistently and reliably measure real workplace samples of respirable crystalline silica to significantly lower levels,” it said. HSE was responding to a warning from Hazards that “a welter of evidence has confirmed risks including lung cancer,” evidence its US counterpart OSHA and its occupational health research arm the National Institute for Occupational Health and Safety (NIOSH) say justifies cutting the standard in half. Other regulators agree. In a 23 July 2014 contribution to an online occupational medicine information exchange, Jeffrey Spann, a well-regarded US industrial hygienist with Washington State's Department of Labor & Industries, offered to assist HSE with the measurement of low levels of respirable crystalline silica in workplace settings. Some authorities go further. The Canadian province of British Columbia has been monitoring and enforcing to a standard of 0.025mg/m³ - a quarter the standard now in place in the UK and the US – for years. He believes the time for HSE to draw a better, safer, healthier line in the sand is long overdue. Lower dust exposures are the only way to protect workers, he says. “The young lad that flagged up dust on his lungs has worn protection since he was an apprentice, so there’s certainly still a problem. You can see it sparkling in the sunlight after you finish work. You are going to breathe it in. It’s on your clothes. The stonemason A stonemason from York secured a six figure damages settlement from his former employer, who failed to take necessary steps to protect him from the hazardous effects of stone dust over the course of a near-forty year period working for them. The man’s lung disease was so acute he had to leave his job in 2008 and he has been unable to work since. He has been left breathless and unable to walk long distances and it has been estimated that the silicosis has shortened his life expectancy by five years. The foundry worker A 56-year-old man who worked in two West Yorkshire foundries between 1976 and 1990 developed silicosis due to breathing in significant quantities of crystalline silica during the course of his work. The man first worked in an iron foundry where he was involved in a number of processes including mixing sand with chemicals. In this environment substantial amounts of silica-rich sand could be found in the air and sand would be swept up without damping. In the second workplace he worked in the shot blast department where a shot blasting machine leaked large quantities of sand into the atmosphere. Neither of the foundry worker’s employers provided satisfactory respiratory protective equipment. At times dust masks were provided, but these were never designed to prevent inhalation of crystalline silica. When a rubber mask was provided, it was ill-fitting and improperly maintained and, again, inadequate to prevent exposure. As a result of his long-term exposure to silica dust, he developed silicosis which gave him a 20 per cent respiratory disability. Even after changing jobs, he continues to experience breathlessness and has to avoid strenuous activities. The quarry worker A man who spent his working life in quarries and stone cutting jobs secured over £200,000 in compensation from his former employers after developing chronic obstructive pulmonary disease (COPD) and silicosis, which led to a 60 per cent impairment of his breathing ability. He was unable to work as a stone cutter and was too ill to work in other jobs. Not being able to work, and the financial hardship this involved, also led to the man developing a depressive illness. The worker was involved in various activities including extracting sandstone in a quarry using a pneumatic drill, cutting stone using a frame saw, polishing stone, and chiselling stone. He also worked cutting gritstone and limestone. In all cases the man's employers failed to provide adequate extraction equipment. When water jets were used to dampen down the dust, they did not work properly. The electrician An electrician was exposed to hazardous dust while working in the vicinity of other tradesmen involved in demolition and refurbishment projects. In carrying out his electrical work near to activities including knocking down and through walls, breaking up concrete floors and sanding down gypsum, the electrician was exposed to large quantities of building dust. As a result, he has developed silicosis and his future employment and health remain in doubt. The director of a London masonry company was handed a suspended prison sentence in July 2014 for exposing workers to harmful stone dust and ignoring notices to improve extraction ventilation. Employees at Redmist International Ltd were exposed to potentially deadly stone dust containing silica for a period of six months between January and June 2013. The company and director Ghausal Islam, 52, were sentenced after an investigation by the Health and Safety Executive (HSE) identified serious concerns. 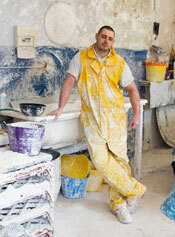 Southwark Crown Court heard that stone dust was commonplace at Redmist during regular polishing and grinding work. The dust can if inhaled cause lung cancer, silicosis, occupational asthma, chronic obstructive pulmonary disease (COPD) and kidney disease. But an HSE inspection on 24 January 2013 revealed that an extraction ventilation system in the factory was inadequate and hadn’t been properly tested to ensure it was fit for purpose. Two improvement notices were served by HSE requiring urgent changes, but follow-up visits on 5 June and 13 June established that nothing had changed, and that employees were still facing potentially harmful exposure. Company director Ghausal Islam was sentenced to 10 months in prison, suspended for two years, and was also ordered to pay £9,000 in costs for a criminal safety breach. Redmist International Ltd escaped penalty for separate breaches of the same legislation because it is no longer trading and is the subject of a winding up order. However a firm called Redmist Marble & Granite, operating from the same address, is still trading. The Health and Safety Executive doesn’t want a tighter exposure standard for crystalline silica, either in the UK or Europe. Hazards unpicks its flimsy – and dangerous – excuses. Also see Part 1 of our silica series, Dust to dust: Deadly silica standard is killing UK workers, Hazards, number 126, April-June 2014.